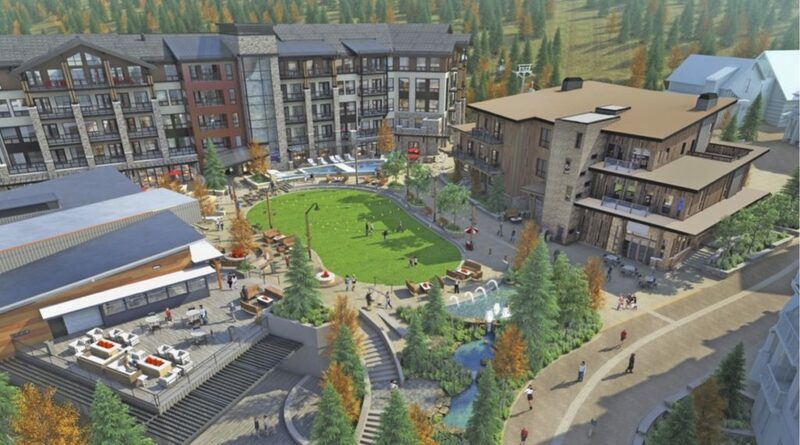 The heart of the new Snowmass Base Village will be the public plaza. Designed to serve as the central gathering spot, it will be a place where locals and visitors alike can gather to share their passion for the mountain experience. The new plaza will feature an ice rink that turns into an events lawn in the summer where music, farmers’ markets, food and fun can be blended to create an energetic communal vibe. A children’s pop-up water fountain area will also be a lively diversion for kids of all ages. The family atmosphere is what will be so special here and a lot of thought has been given to how parents can socialize and kids can play throughout the day and in all the seasons to really soak in the Snowmass lifestyle! The plaza is well under-construction with the ice rink being poured in the next two weeks and is set to open this winter! You won’t want to miss the Base Village and Limelight Hotel Grand Opening Celebration on 12.15.18. Be sure to mark your calendars! Interested in a tour of the plaza to see the construction progress first-hand or to learn how you can call Base Village home? Call us today at 970.924.9100 or contact one of our Sales Experience experts. We also invite you to take tour of our construction cam showing all construction activity live.